Episode 14: Summer Reading Sign-Ups & Harry Potter Escape the Room with Teen Queen Luisa! 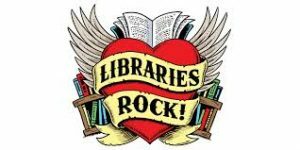 Teen Summer Reading sign ups start Sunday, June 10th Libraries Rock! proper use of magic, potions, and spells! If you are unable to escape, you will spend an eternity in Azkaban! Open to all muggles and wizards entering 7th- 12th grade. Registration begins June 27. Do you have what it takes to get through the Hogwarts professors’ obstacles and save the stone before Voldemort finds it and becomes immortal? Each group must work as a team to find the hidden clues and solve the puzzles and riddles to complete the challenge. This is a multi-generational program. Recommended for ages 9 and up. Groups are limited to 10 people per team. Space is limited. Call for registration. Registration begins June 30th.